The Crystal Waves are one of a highly skilled & professional manufacturer, exporters & wholesale suppliers of various kind of gemstones product since many generations. With enriched industrial experience and knowledge, we are manufacturing and supplying our clients with a wide assortment of Vastu Crystal. 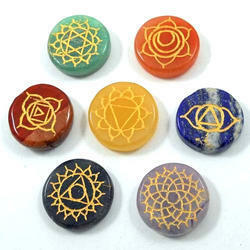 - Used for rectifying vastu dosha. I am making all colour pyramid. 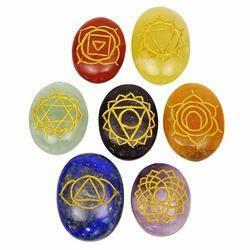 Gomti Chakra is a rare natural and spiritual product, a form of shell stone.Gomti Chakra is found in gomti River in Dwarka, a part of Gujarat in India.Gomti Chakra is also known as Sudarshan Chakra as it resembles the divine weapon of Lord Krishna - the Sudarshan Chakra. Completely natural stones having metappysical properties ideal for healing purposes.